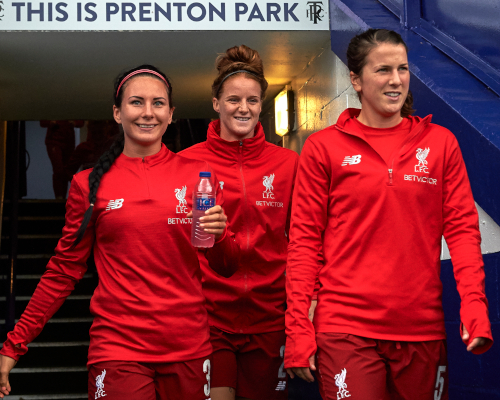 Vicky Jepson's side hope to return to winning ways in the Women's Super League today when they host Birmingham City Women at Prenton Park - and Robe is set to return from injury. The left-back is fast becoming a fan favourite for her affable nature, infectious personality and hard-working attitude on the pitch, and she's also a popular figure within the dressing room. At Millwall, who play in the Women's Championship, she trained twice a week and combined her duties on the pitch alongside a full-time job in insurance. Working from home enabled the ambitious 24-year-old to fit in several extra training sessions - which she would slot into her break and lunchtime - alongside those evening sessions with the club. "I've settled in a lot quicker than I thought I would. It took my body a good six weeks to get used to the load," Robe said of the switch to a five-day training schedule. "I was finding every day I was tired and lethargic but once I got into the swing of things it was always good." 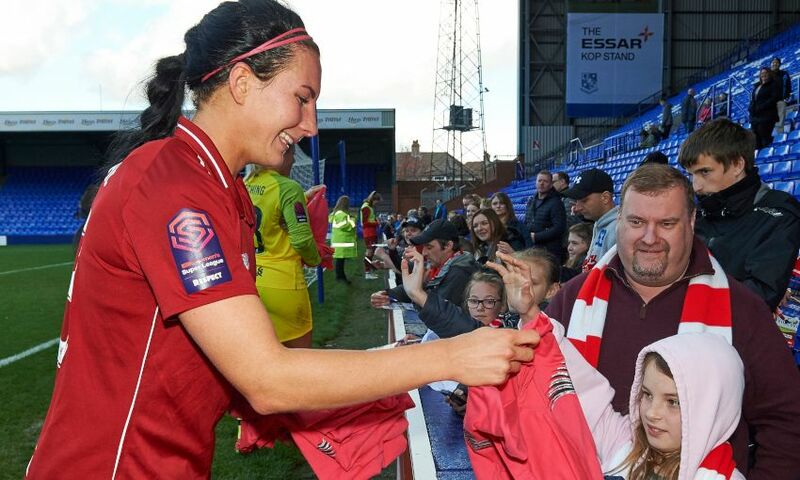 Stepping up a tier to become a Women's Super League player was a chance the Reds' No.3 had long been preparing for. "You can try to prepare yourself for it but the tempo is quicker, the players are quicker, so everything has got to be a million per cent more switched on," she added. "I have always been a centre-back before and I'm now playing at full-back, so it's not only stepping up a league and everything is quicker, it's actually now I've got near enough double the running to do as well. "When I was in WSL2, [making the step up] was all I was thinking about. "Every performance, if I was making little mistakes I'd be quite hard on myself and if you want to be in WSL1 you can't be making those sorts of mistakes. It's that sort of mindset, I wasn't just thinking about the game that I was playing on that day, I would always be thinking ahead. I was very much preparing in every way that I could so I was ready for my call one day. "I've never been the most technical player so it has always been through hard work. It's nice because it shows other players who are aspiring to get here, don't give up, always just keep believing. You do just have to have that belief - you've got to think: 'I'm going to make it, it's just a case of when.'" Robe's footballing story began at the age of eight, turning out in defence for a local boys team, which she believes moulded her into the tough tackler of today. But how has she handled the switch in position at Liverpool? "I didn't know at the time when I was joining that I was going to be playing full-back," she explained. "Obviously I would never have turned it down, they could have told me I'd be playing up front and I'd have said 'Sure!'" Perhaps the biggest change of all for the Essex-born defender has been the move north - but she is already a big fan of her new city. Robe added: "I love it up here, it's really good. I've told my mum I'm not moving back down south! I love being in the city, I've always wanted to live next to the waterfront so that's just perfect as well. "You always miss your family but because I'm so happy up here and I'm doing what I love, it's not a case of I'm ever homesick." Kick-off at Prenton Park is at 2pm GMT.